Another photo from Greece–this one from Ancient Mycenae. 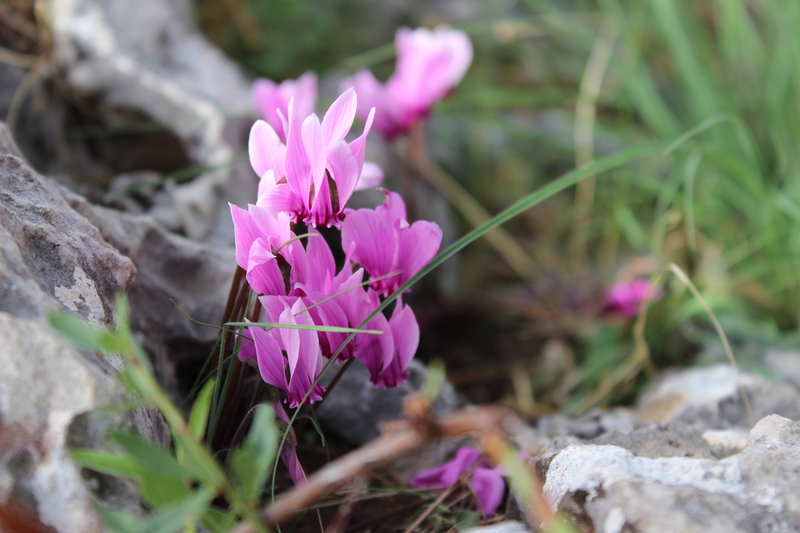 In the ruins of a 2500 year old fortress perched on a mountain peak are these sweet little cyclamen growing up between the stones. They were so unlike the rest of the place–fresh, light, and verdant, and not at all what one would expect to grow in the scorching heat. They felt like a promise to me–that while humans will build up and tear down, nature will always be there to renew and refresh what has been destroyed.